A U.S. Appeals court ruled 2-1 on Friday that taxpayer funding of human embryonic stem cell research can continue. The ruling overturns a federal judge's injunction that temporarily stopped funding, though funding was allowed to continue while the injunction was appealed. Judge Douglas Ginsburg, appointed by President Ronald Reagan, wrote that it was "entirely reasonable" for the NIH to interpret the law as "permitting funding for research using cell lines derived without federal funding, even as it bars funding for the derivation of additional lines." In a dissenting opinion, Judge Karen LeCraft Henderson, appointed by President George H.W. Bush, said the federal law was clear about banning funding for human embryonic stem cell research and that the court majority was engaging in "linguistic jujitsu" to back it. The case emerged from two researchers who opposed work with embryonic stem cells and sued to block such funding. They argued that they were at risk of being squeezed out of federal grants for their own work with adult stem cells, which do not involve the destruction of embryos. The researchers, Dr. James Sherley, a biological engineer at Boston Biomedical Research Institute, and Theresa Deisher, of Washington-based AVM Biotechnology, could appeal the ruling to the full appeals court, a lawyer involved in the case said. The Windsor Star has an updated report on Baby Joseph, the terminally ill Canadian child who was transported to St. Louis for a tracheotomy after Canadian doctors almost took him off life support. Only months ago, the fate of 15-month-old Joseph Maraachli was a question mark. Doctors at London Health Sciences Centre in London, Ont., sought to take the infant off life support as he battled a progressive neurological disease. But on Sunday, the round-cheeked baby was home in Windsor, resting in a cradle packed with plush toys. Now and then he opened his eyes or wriggled a little, or moved his arms beneath father Moe Maraachli's occasional touches and kisses. When Maraachli held out a finger at one point, Joseph's own stubby fingers curled around it. He's breathing without a ventilator, Maraachli said, after surgery in St. Louis ? the airway-opening tracheotomy his family sought but couldn't get in Canada as they battled to bring Joseph home to die. "I feel victorious," Maraachli said, smiling broadly as he stood by Joseph's crib. "I feel I won and my baby's alive." But he's also been left with questions about why he and wife Sana Nader had to go to the U.S. for help. "That's what makes me mad," he said. "Why I have to travel to St. Louis? On April 27, more than 350 prolife people from across Michigan came to Lansing to let their voices be heard as they learned about important prolife legislation, got tips on lobbying from the Right to Life of Michigan Legislative team, Ed Rivet and Mollie Schweppe, and discussed legislation and prolife issues with their state legislators during lunch. The keynote speaker for the event was Yvonne Florczak-Seeman from Illinois. Yvonne shared her moving testimony of past abortions and her journey to healing. Her desire is to bring a message of hope and healing to post-abortive women and help women who are facing unplanned pregnancies. The message is found in her organization, Love from Above. The National Review is featuring an interview with Carol Tobias, the newly elected president of the National Right to Life Committee. Carol discusses NRLC's work, prolife legislation and the importance of defeating Planned Parenthood. LOPEZ: Why do you do what you do? What motivates you to work on this issue? TOBIAS: Our Declaration of Independence states, "We hold these truths to be self-evident, that all men are created equal, that they are endowed by their Creator with certain unalienable rights, that among these are life, liberty, and the pursuit of happiness." I believe that: that life is an unalienable right. For me, personally, I oppose abortion because all human life is created by God; innocent human life should be respected and protected. Unborn babies are being killed by having their arms and legs torn from their torsos, or are being sucked into a vacuum machine. Elderly men and women, and disabled persons, are being starved to death because someone believes they cannot contribute to society. How can anyone know this is happening and not get involved? LOPEZ: What do you make of all this "war on women" talk? TOBIAS: Pro-abortion groups like to create rhetorical smokescreens that distract the public from the real issues at hand. When they say pro-lifers have launched a "war on women," what they're referring to (but don't want to say straight out) is pro-life efforts to stop the flow of federal dollars to Planned Parenthood — the nation's largest provider and promoter of abortion. Pro-abortion groups know that if they talk about what really happens in an abortion, they'll lose the argument, so they have to resort to inflammatory rhetoric that portrays pro-lifers as militants attacking women. On April 21, Baby Joseph flew from St. Louis to Windsor, Canada with his family. Baby Joseph is a terminally-ill 1-year-old whose case made international headlines after a hospital in Canada refused to perform a tracheotomy and nearly removed his life support against the wishes of his parents. For the last month, Baby Joseph has been cared for at Cardinal Glennon Children's Hospital in St. Louis. A tracheotomy was successfully performed and he has been off a ventilator for more than a week. Joseph Maraachli left Cardinal Glennon Children's Medical Center in St. Louis before dawn and flew with his parents and 7-year-old brother to their home in Ontario, exactly one month after receiving a tracheotomy aimed at extending his life, the hospital said in a statement. Baby Joseph suffers from the progressive neurological disease Leigh Syndrome. Doctors in Canada had refused to perform the tracheotomy, saying it was futile, and an Ontario court decided doctors could remove the child's breathing tube. His family sought help from American hospitals, and Cardinal Glennon agreed to treat Joseph. The hospital said the tracheotomy was a success and that Joseph has been breathing without a ventilator for more than a week. Yesterday, Judge Denise Langford Morris ruled that Alberto Hodari's WomenCare abortion clinic in Lathrup Village can stay open for at least two weeks to give time to both sides to develop their cases. At issue is the Freestanding Surgical Outpatient Facilities license, required of certain medical facilities not associated with hospitals that perform surgeries and procedures such as endoscopy, cosmetic surgery and abortions, provided that abortions make up more than 50% of the patient load per year. WomanCare of Southfield had been licensed since 2008, but in 2010, Hodari opted against renewing the facilities license. A 2009 MDCH inspection found numerous health and safety violations, all of which Hodari fixed except one -- building an additional fire exit to service the split-level building on Southfield Road. A lawyer for Michigan abortionist Alberto Hodari has told the Detroit Free Press he will appear in court to fight efforts by Attorney General Bill Schuette and the Michigan Department of Community Health to close down one of his abortion clinics. Last summer, based on the cost of fire code compliance tied to the license, Hodari decided against renewing. The doctor, whose medical license is separate and valid, applied to have the building grandfathered, as it is older than the codes, but was denied, according to legal filings. Hodari’s attorney said the doctor has gone to great lengths to recruit gynecological patients to keep his abortion services under 51%, and that the state is unfairly imposing itself on the clinic, which has been in the spotlight before for improperly disposing of medical records. The prayers of prolife sidewalk counselors were answered on April 16, 2011, when two moving trucks pulled up to WomanCare Downriver Medical Surgical Center and the equipment in the abortion clinic was loaded into the trucks. After everything was loaded into the trucks, a closed sign was taped to the door and the door was locked. This abortion clinic was owned by infamous abortionist Alberto Hodari and formerly had been up for sale. One of Hodari's other abortion clinics is currently being sued by Michigan's attorney general and the Michigan Department of Community Health for operating without a license. Prolife legislators in Michigan are hoping to pass legislation which would require universities who take part in embryonic stem cell to report a variety of items, including the number of human embryos they have, how many human embryos they've killed, etc. Some Republican lawmakers want to know exactly how Michigan's research universities are using stem cells. They want the universities to report how many human embryos they have and how many stem-cell lines they have created using them. The measure was tucked into the higher education funding bill passed last week along a party-line vote in a higher education subcommittee. The same method was tried last year to get the measure passed, but it failed. "We want to know exactly what's going on with stem cells," said state Rep. Bob Genetski, R-Saugatuck, chairman of the subcommittee. "It's still a pretty big issue. We can at least keep a grip on what's going on." He said those who led the drive in 2008 to get voters to approve the use of stem cells from human embryos promised the move would create jobs. "Some of us feel duped," he said. On Thursday, April 14, the majority of U.S. House of Representatives voted to de-fund Planned Parenthood, but when members of the U.S. Senate had the opportunity, a majority voted to continue funding, with our tax dollars, the number one abortion business in the United States, Planned Parenthood. By a vote of 58-42, the U.S. Senate voted against a bill to de-fund Planned Parenthood, America's #1 abortion provider. The U.S. Senate also voted 53-47 on party lines against a bill to de-fund the health care law passed in 2010 which contains a plethora of anti-life provisions. The roll call of the vote to de-fund Planned Parenthood is here. Both Senator Levin and Senator Stabenow voted against de-funding Planned Parenthood and against de-funding the health care law. The U.S. House is expected to vote on Resolution 36 (the Pence Amendment to de-fund Planned Parenthood) this Thursday. Rep. Justin Amash voted "present" the last time it came up (equivalent to a "no"vote). Please contact Rep. Amash immediately - today if possible - to ask him to vote YES on Resolution 36 - the Pence Amendment to de-fund Planned Parenthood. Rep. Amash's Grand Rapids district Office number is: 616-451-8383 and his D.C. office number is: 202-225-3831. We must impress on Rep. Amash the importance of de-funding the largest abortion provider in the nation and remind him that he considers himself to be prolife and committed to protect the unborn. Over the weekend, the National Right to Life Committee (NRLC) board of directors voted to elect Carol Tobias as NRLC's new president. The battle to de-fund Planned Parenthood, the largest abortion business in the United States, continues. Prolife U.S. House Speaker John Boehner has negotiated cutting taxpayer funding of abortion in the District of Columbia and guaranteeing a straight up-or-down vote in the U.S. Senate on the Pence Amendment. House Republicans have already approved the Pence Amendment to remove tens of millions of dollars from Planned Parenthood. Now, it's the U.S. Senate's turn to take a vote. This is what we know: Throughout the debate on de-funding Planned Parenthood, representatives of Planned Parenthood have claimed women who use Planned Parenthood's non-abortion services will have nowhere to turn if Congress votes to prevent federal tax dollars from going to Planned Parenthood. Despite Planned Parenthood's claims, there are more than 140 community health centers in Michigan which served nearly half a million people in 2008. Planned Parenthood is not the only game in town. Now is the time to clearly state to our U.S. Senators we do not want our hard-earned tax dollars going to Planned Parenthood. Contact our two U.S. Senators today and let them know: "I support the Pence Amendment. I do not want my tax dollars going to Planned Parenthood." If you have contacted U.S. Senator Debbie Stabenow and U.S. Senator Carl Levin already, please contact them again. While both are pro-abortion, they need to hear that federal funding for Planned Parenthood is not acceptable. Several media outlets are reporting that a provision to end federal funding of Planned Parenthood, which performed 332,278 abortions in 2009, is a major sticking point in budget negotiations to avert a government shutdown at midnight tonight. Vote on whether you think Planned Parenthood should be defunded at the link below. In an ad placed in various Washington-area newspapers today, the prolife Susan B. Anthony List asks, "Should Planned Parenthood really force taxpayers to fund the convictions of Margaret Sanger?" and then lists a variety of quotes from Margaret Sanger, the founder of Planned Parenthood. The ad also discusses how Planned Parenthood's business model relies on abortion and that "98 percent of Planned Parenthood's services to pregnant women were abortions." Researchers at the University of Michigan announced over the weekend they killed more human embryos and created two new embryonic stem cell lines which have the genes of human embryos with genetic mutations. Right to Life of Michigan President Barbara Listing said, "It is a sad day when researchers triumph over the destruction of vulnerable, innocent human life." In 2008, Michigan voters were promised a plethora of cures with the passage of Proposal 2. The result is not what people expected, Michigan's Constitution was negatively altered to allow for the destruction of human embryos. Researchers are now saying the cells they created by killing human embryos aren't "necessarily going to drive us toward discoveries of stem cell replacement therapies, but will give us information we've never had before with regards to how the diseases form and progress." Instead of providing the previously promised cures, researchers now admit they wanted to kill human embryos so they could do basic research on how diseases form and progress. How many Michigan voters were manipulated into voting for Proposal 2 based on the illegitimate promise that allowing Michigan researchers to kill human embryos would revolutionize medicine? It seems researchers knew all along that the destruction of human lives would merely help them gather more information. The University of Michigan is also in the process of attempting to collect more human embryos with genetic diseases which they hope to kill for their stem cells. Ed Rivet, Legislative Director for Right to Life of Michigan said, "If you look at the history of ethical research, we don't destroy an individual with a disease in order to find cure for the disease. Human life starts at the moment of conception. Tiny human embryos have unique genetic blueprints that have already decided if they will be a boy or a girl and if they will have blue, green or brown eyes. These are facts that we cannot forget. Listing said, "We reject the taking of innocent human life to resolve the challenges of life itself." The Oakland Press recently covered the efforts of prolifers in Oakland County to open Birth Choice Pregnancy Resource Center in the same building as an abortion clinic. Besides confidential counseling, free infant supplies and adoption referrals, Birth Choice offers free pregnancy tests, childbirth and parenting information and post abortion support. In the next few months, Schupbach said they will also be offering free ultrasounds, and, until then, they will be referring expectant mothers to clinics with free ultrasounds. Executive Director of Birth Choice Brenda Savage, who has a background in health service administration, legislation and politics, said she is very pleased with how quickly the center has grown and by the support of the Independence Township community. What does it mean to be prolife? To me, being prolife means that I recognize that life is a sacred gift from God and is intended to be preserved from conception to natural death. 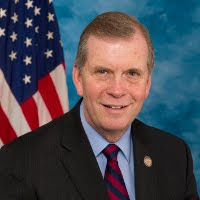 View all of Representative Walberg's answers. April is Abortion Recovery Awareness Month and its goal is to educate the public on abortion's effects on individuals and family and offer hope, healing and help to individuals suffering from an abortion experience. Abortion Recovery Awareness Month (ARAM) (aka: Abortion Recovery Month) was established in April 2005 by Abortion Recovery InterNational, Inc. (ARIN) as a way to encourage and extend healing opportunities to individuals and families hurting from an abortion experience. Co-founders Stacy Massey and Christine Jackman believed abortion recovery was just as significant as other awareness efforts. During the month of April, ARIN Affiliates and Advocates enlighten society by reaching out to others in their community through many different venue.